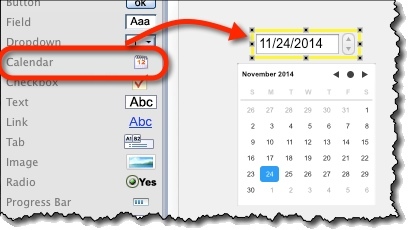 It displays that date in the calendar’s field. Also it selects it on the date-picker. 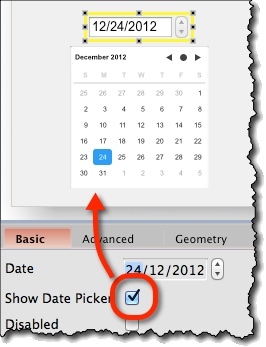 Date (“Basic” tab) – Date to be displayed and selected on the date-picker. When widget is created it is set to the current date. 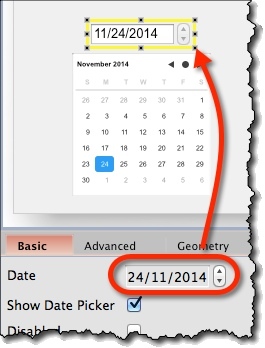 Show Date Picker (“Basic” tab) – Whether or not to display a date-picker. By default, it’s turned on.